Finding Metamorpho being used to open a gateway to the Dark Multiverse, Mr Terrific and Plastic Man dive in to save him - getting dragged into another dimension in the process. 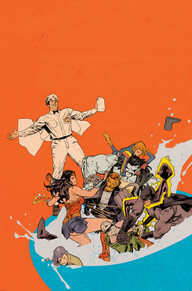 There they meet Phantom Girl, and begin an all-new adventure as the DC Universe's newest super-team. I have to spoil the last page of this comic to discuss it, so fair warning if you don't want to know. Broadly speaking I really like this issue. It would have been nice to have gender parity, or even a predominantly female super-team, given the genre's historical penchant for all-male groups bar one woman. That aside, it's a solid group of second-string heroes whom I have often enjoyed, and they are well-written by Jeff Lemire and very nicely illustrated by Ivan Reis and Joe Prado. Then their first mission is revealed to be tracking down the mysterious Tom Strong - that's where the issue kind of lost me (albeit on the last page). 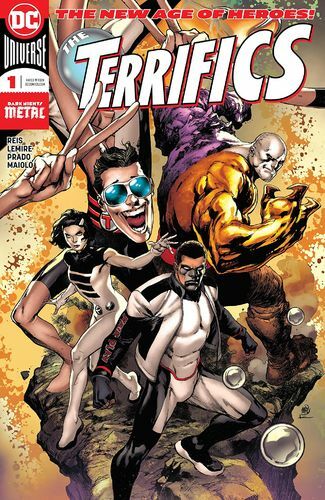 The Terrifics #1. DC Comics. Written by Jeff Lemire. 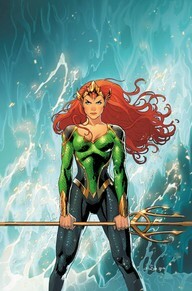 Art by Ivan Reis and Joe Prado. Colours by Marcelo Maiolo. 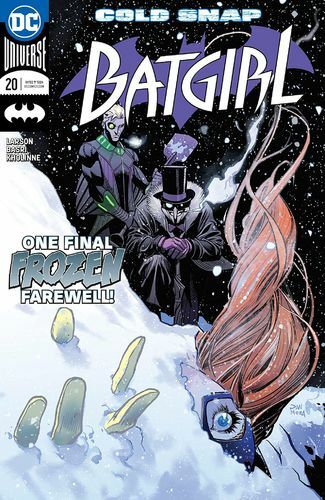 Under the cut: reviews of Batgirl, Doom Patrol/Justice League of America, and Mera: Queen of Atlantis. DC Comics. Written by Hope Larson. Art by Sami Basri. Colours by Jessica Kholline. DC Comics. Written by Steve Orlando and Gerard Way. Art by Dale Eaglesham and Nick Derington. Colours by Tamra Bonvillain and Marissa Louise. DC Comics. Written by Dan Abnett. Art by Lan Medina and Richard Friend. Colours by Veronica Gandini.